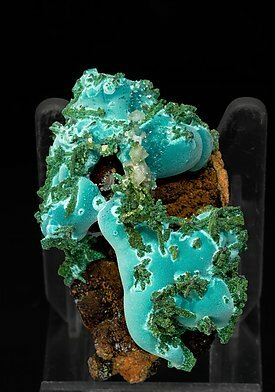 A bizarre formation of botryoidal Rosasite with an intense and uniform bluish green color and on a limonite matrix. 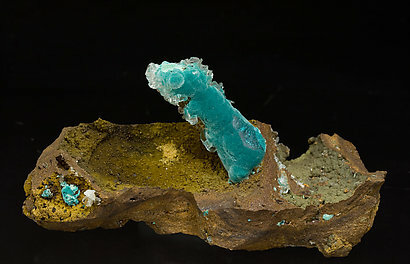 Such a sample is almost an “oldie” because no more have been recovered since this Rosasite was mined in 2010. 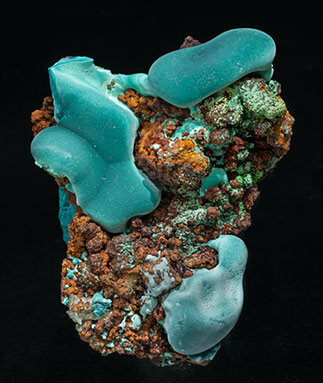 Botryoidal aggregate of Rosasite of intense greenish-blue on Limonite matrix. 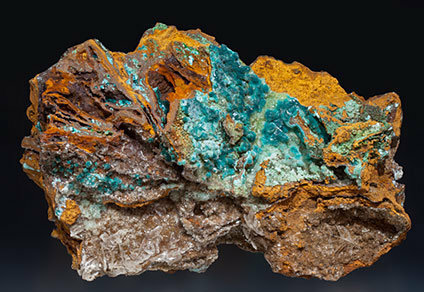 A recent discovery at the classic Ojuela mine. 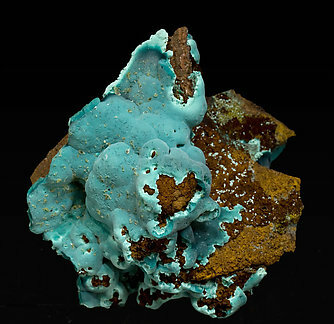 Flattened botryoidal aggregate on limonite matrix, with intense and uniform bluish green color. As a curiosity we note that the nodule resembles vaguely the outline of USA. 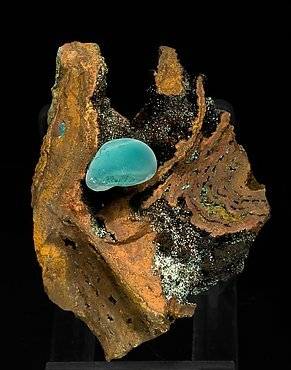 Botryoidal aggregate of Rosasite with color banding at the top and concentric growths, on limonite matrix. 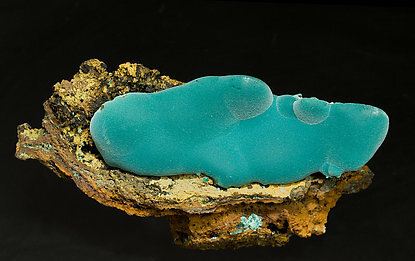 Complete botryoidal nodule, with intense and uniform bluish green color. 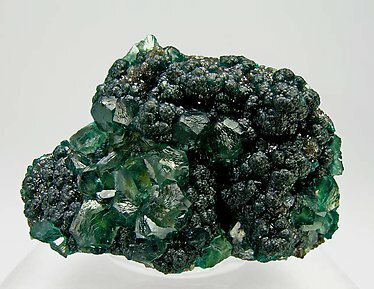 Botryoidal aggregate with an almost cylindrical contour and with intense and uniform bluish green color. 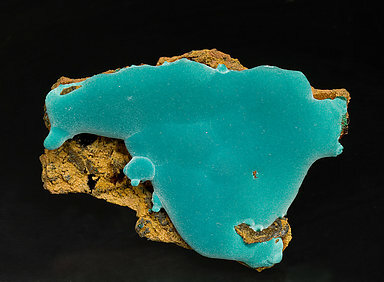 Spheroidal aggregates of acicular Rosasite crystals with an intense bluish-green color, with Aurichalcite that has a lighter color. 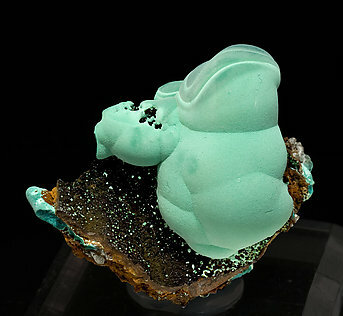 They are on a limonite matrix with white lenticular Gypsum crystals. The sample is from the Francesco S. Stoppani collection (catalog number 0824), whose label we’ll send to the buyer. As is the case with so many specimens in this collection, the sample is of great quality for the locality. 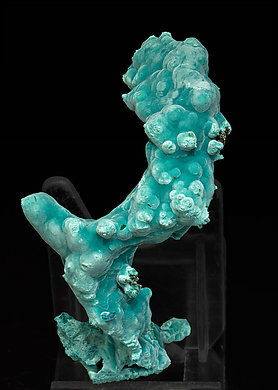 Columnar-botryoidal growth of Rosasite of rich greenish blue color, very uniform, with small white rhombohedral crystals of Calcite on limonitic matrix. The "Mouse"! 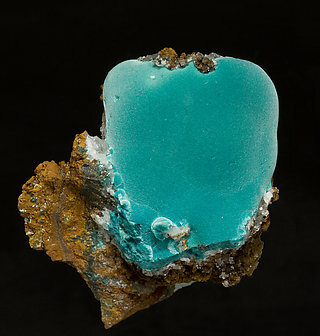 Very bright spheroidal growths of Rosasite. 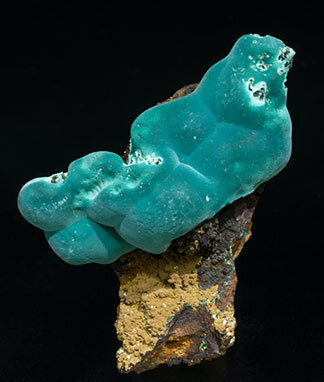 They are translucent and have an extraordinary and surprising very deep blue color and with rhombohedral crystals of Calcite. We’ll send a copy of the analysis. 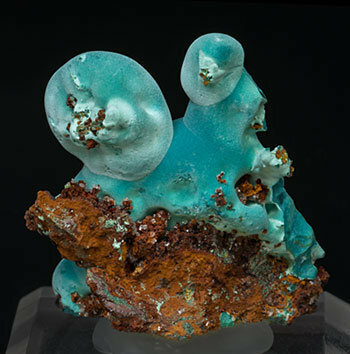 Botryoidal growths of Rosasite of rich greenish blue color, very uniform, on which are columnar growths of green Conichalcite with white rhombohedral crystals of Calcite, on a limonitic matrix.